This Dutch introduction has soft green leaves which turn a buttery yellow in winter. 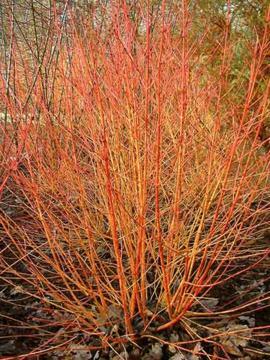 During winter it has breathtaking stems of yellow, orange and pink. Moist, fertile soil in sun or part shade, but quite adaptable. 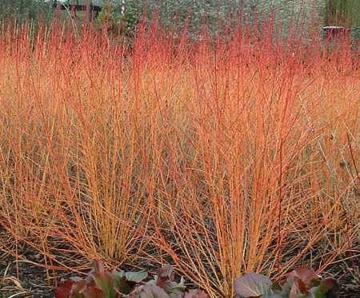 Every year or two prune back hard to encourage growth of colourful new stems.